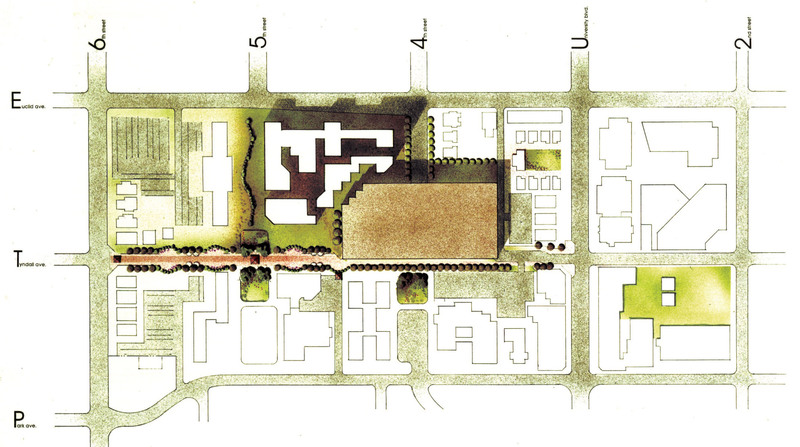 Podolsky completed a master plan for this area near the University of Arizona. The plan called for the majority closing of Tyndall Avenue to a North/South pedestrian way, a parking structure to accommodate at least 1000 vehicles, and multi-level married student housing for University of Arizona. The western side of this plan abuts a major residential neighborhood. The integration of their concerns with the University’s needs was instrumental in developing a successful master plan.